Top Nigerian music producer, Babatunde Okungbowa, is dead. He died in the morning of Tuesday, June 14, 2016, at 49, after been on dialysis, due to the relapse of a kidney transplant he had in India, that was successful in July 2013. The dialysis is said to have cost him/family around N35,000 daily. Babatunde Okungbowa, is popularly known in the music circle, as “OJB Jezreel” or rather, “Jigga”. He was the CEO of Poinbeat studio, based in Surulere, Lagos. Where he had produced, several hit songs, for top Nigerian music celebrities. He is survived, by 3 wife’s and eight children. OJB died, exactly a month to his 50th birthday. He was a singer, songwriter and a prolific music producer, who was adjudged, the very first super-producer in Nigeria. He had worked, with countless number of Nigerian artistes and at a point, if you are not produced by OJB Jezreel? Your song may probably not get a midas touch, not to talk of making a hit. 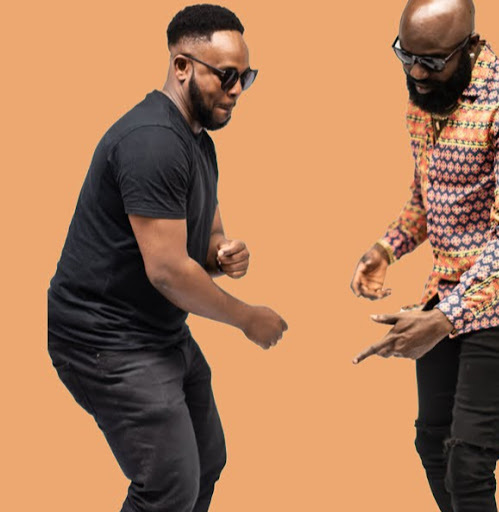 Some of the artistes, he had worked with are, Faze, Yemi Alade, Iyanya, Jazzman Olofin, Lexy Doo, 2Face, Ruggedman, KC Presh, Baba Dee, VIP from Ghana, Nomoreloss, Rasqie, to mention a few. As a musical artiste, OJB, had recorded 2 albums, which are, ” Jah’s My Lite” released in 2005 and “Jigga’s World” released in 2008. His recorded songs are, Shitta Anthem, Gbemileke, Lover’s Anthem, Daalu, Put’em Lighters Up, Jah’s My Life, Carry Go, Otutu Munmi, Asiko, Miracles 4 2, Don’t know, Love that body, Ese Baba, Pum Pum, Follow Me 1, Follow Me 2, Oleku, Drama, Keep Moving, Give Me The Night, Service Provider, I believe, Fire, Run, Dangerous, Love Will Find A Way, I believe In Miracles, Babylonia, Get That, I’ll Be Good, No More, Searching, Beautiful As U R, Pretete amongst others. Before his death, OJB Jezreel, had once being signed as a music artiste to Kennis Music and WestSide Music at different times. At a point while he was on Kennis Music label, he became the in-house producer to the music label owned by Kenny Ogungbe. OJB Jezreel, died of kidney complications, as he successfully had a kidney transplant in India during the middle of 2013, after his first wife donated a kidney to him. The Nigerian music industry, will surely miss this great, legendary icon. May his soul rest in perfect peace. Amen.